Necessity is the mother of invention and with the global automotive industry experiencing several disruptions like never before, companies have turned to technology and engineers to come up with innovative products and processes aimed at developing future mobility solutions. Ample evidence of this approach was in display at Tata AutoComp Systems’ Technology Day, held at the new Tata Ficosa plant in Chakan, near Pune, on October 3-4. 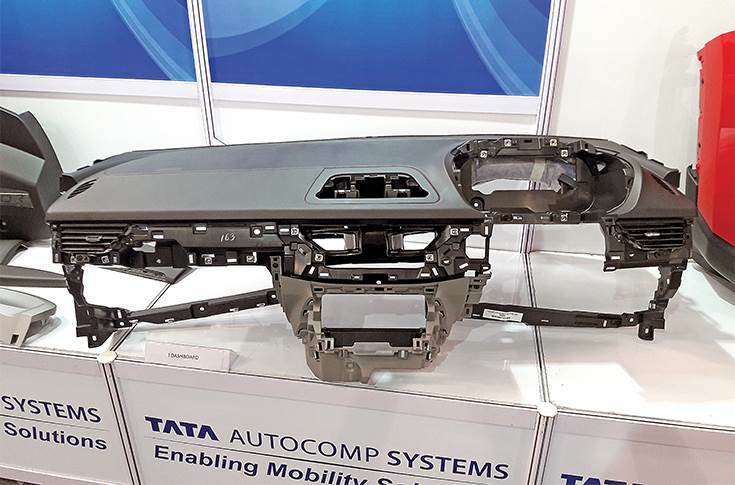 Tata AutoComp Systems, one of India’s largest component suppliers, clearly found the Tech Day a good platform to showcase a plethora of new and upcoming products engineered and developed by its own business divisions and joint ventures. The company, which reported an aggregate turnover of more than Rs 4,800 crore (FY2018) inclusive of the annual businesses of its seven joint ventures, is understandably bullish on the new and incoming opportunities arising out of automotive megatrends. For the evolving Indian auto market, the company is preparing to benefit from the new opportunities arising out of industry-wide transitions including stricter emission norms, vehicle electrification (including hybridisation), new safety requirements such as advanced driver assist systems or ADAS, shared and connected mobility and other megatrends. The company sees multiple factors as its major growth drivers over the next decade. While it counts on organic market growth as a major driver, it is also eyeing several new segments that are opening up with maturing customers. The farm equipment sector wherein new-age tractors are expected to feature driver cabins – new in India – is one such area. Speaking to Autocar Professional on the sidelines of the tech day event, one of the company engineers summarised: “While the overall footprint of the vehicle remains the same, the cabin space is becoming larger and the engine compartment smaller.” He was underlining the fundamental changes that vehicle design and manufacturing is undergoing, thereby leading to unique challenges for engineering teams. While the industry appears to be prepared to take on BS VI emission norms in another 17 months’ time, there is a lot going on the product development front on the vehicle electrification and hybridisation side. Tata AutoComp counts electric vehicles (including hybrids) as a major growth driver of its business over the next decade. The company says that its engineering development and innovation are well aligned with these anticipated growth drivers. Tata AutoComp, which has an existing footprint of about 45 manufacturing plants (India: 36; overseas: 9), operates across three divisions: interiors and plastics division (referred as IPD internally), the composites division, and supply chain management. The interior and plastics division is understood to be the largest of others. The surround view system, developed by Tata Ficosa, uses three screens, each providing a different visual. Besides that, it also operates across a complex structure of seven joint ventures that cater to different domains and technology requirements for their customers. These JVs include Tata Toyo Radiator (partner: T.Rad, Japan), Tata Ficosa Automotive Systems (partner: Ficosa, Spain), Tata AutoComp Hendrickson Suspensions (partner: Hendrickson, USA), TM Seating Systems (partner: Magna Seating, USA) and others. Any industry stakeholder visiting the Tata AutoComp Tech Day would have had a busy day, for there were new products and innovations aplenty on display. Tata Ficosa demonstrated newly developed solutions around ADAS. 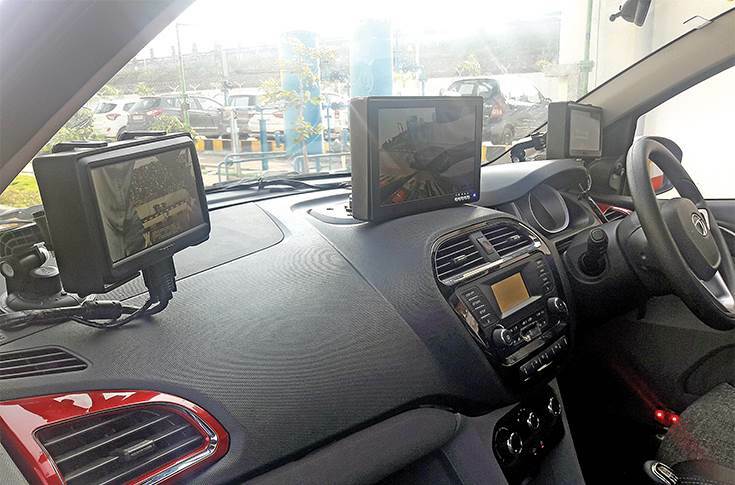 Developed by the team of engineers at Tata Ficosa Automotive Systems, it demonstrated an ADAS camera-based surround view system, which live-streams the surrounding visuals (a mix of real and virtual) to the driver (via three screens mounted across the dashboard). The surround view system is meant to offer safety to the driver while driving or reversing a car. It provided real-time objects on the way along with the lane markings, other curbs and also an illustrative bird’s eye view of the moving car. To obtain these visuals, the team deployed four wide-angle cameras, one each on the side mirrors, and one each at the front and the rear exterior of the demo vehicle. 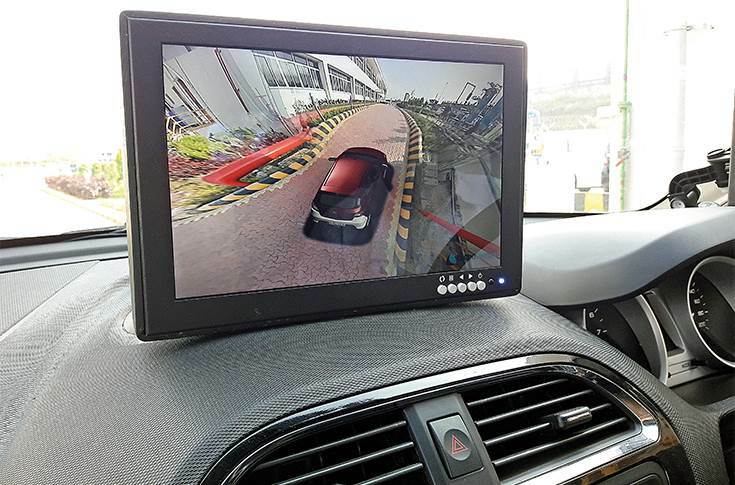 Emphasising on its abilities to develop ADAS camera-based solutions in India suitable for local applications, the engineers at Tata Ficosa told Autocar Professional that several ADAS-based solutions are currently under development. “We are working to further fine-tune ADAS-based applications. For example, the team is working on calibrating several inputs into the system for driver assistance. This highlights our ability to locally develop these features for our customers in India,” underlined the team lead, while demonstrating various applications of the surround view system. One of the wide-angle cameras mounted on the car exterior. 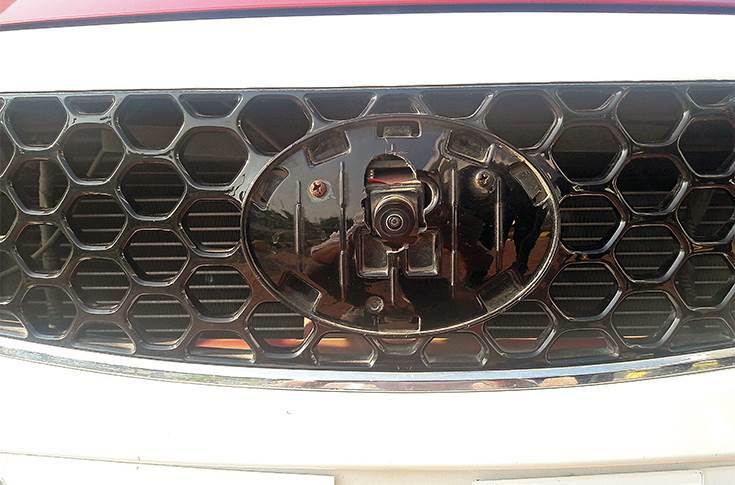 Seen here is one of them mounted on the front grille. The team at Tata Ficosa, which is learnt to have readied battery management system (BMS) for electric vehicles, is also working on battery cooling solutions for deployment in the EVs of the future. Meanwhile, Tata AutoComp displayed impressive components from its interior and exterior lightweight plastics line-up. Notably, it offers products developed using thermoforming technologies such as thermo casing, selective foamed thermo casing, In Mould graining, IMD – insert moulding, fabric back injection moulding, Woodstock forming, Kimekomi fabric lamination and others. According to the company, thermo casing offers technical benefits such as good grain quality, shorter cycle times, low tool and operating costs and undercut formations along with possibility of deep drawing in parts. These benefits are similar in the case of selective foamed thermo casing, which also offers high softness levels in select areas. In the case of In Mould graining, the company claims to offer high grain retention, thickness stability along with offering the feasibility of seams and logo embossing. The Tata Hexa crossover is one of the recent examples wherein one can find ‘Hexa’ embossing (with neat surface finish) across several spots in the (vehicle) interiors. On the other hand, IMD insert moulding, which is a dry decoration technique, offers technical benefits such as improved surface properties and high decoration depth, whereby surface imperfections can be hidden and faster production cycles. Woodstock forming, a technique typically preferred for low-volume runs (in high-end vehicles), offers elegant interior components with textiles and vinyls to match the seating. According to Tata AutoComp, this process offers low investment costs because of using a single tool. One of the highlights was the metallic finish deco trims, which offer metallic finish painting with excellent satin chrome finish on the regular plastic trims (used on the dashboard). The company also displayed several lightweight plastic under-the-hood parts at its tech day, which was attended by its customers including Volkswagen, Tata Motors, Jeep India, Mahindra & Mahindra, Bajaj Auto and many others. These under-the-hood parts included cylinder head cover, timing belt cover-back, cover-front, cover-bottom and several others. The product engineers claim a good balance of mechanical properties such as stiffness, creep resistance, impact resistance, load-bearing capacity and dimensional stability for these parts. “35-45 percent weight reduction can be achieved through these parts. We also offer design flexibility on these,” one product engineer told Autocar Professional. Also showcased were door trims and pillar trims under its thin wall plastic trim design. The company has achieved thickness reduction (in door trims and pillar trims) from 2.5mm to variable thickness in the range of 1.8mm-2.2mm. According to the product engineer, this helps in terms of cutting down weight by 1.5kg in pillar trims and about 2kg in door trims. The company is also working with alternate materials for achieving weight reduction across parts. For example, in what it calls as the NFPP lightweighting technology, it uses NFPP (or natural fibre + PP) mats, which are made of 50 percent natural fibres. It is known that these are bio-based, renewable materials now finding wide application in different auto parts. Tata AutoComp claims to have used these green materials in its door trims and achieved up to 35 percent savings when compared to conventional solutions. Yet another highlight of the many innovative solutions on display was that the products developed use mould-in-colour (MIC) technology, which eliminates the painting process. The process offers superior aesthetical surface, good process ability with shorter process time, eco-friendly and recyclable, excellent scratch resistance and also 20 percent cost saving and increased productivity (compared to applying conventional method of painting the part). Lightweight dashboard structure made by the company's interior and plastics division. 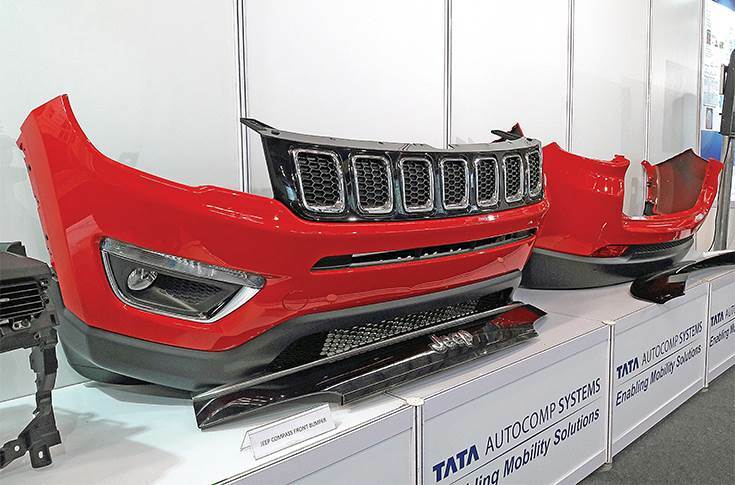 Tata AutoComp’s interiors and plastics division also displayed the front and rear bumper, tailgate spoiler and light bar assembly developed for the Jeep Compass SUV. The company claims to have ensured more than 500 deliverables with end-of-line (EOL system) and vision system as quality checks. The Tier 1 supplier also deployed multiple SPMs (ultrasonic welding and punching) to develop over 60 variants of these parts for Jeep. It supplies in a ratio of 40:60 to local and export RHD market globally to the Jeep Compass. 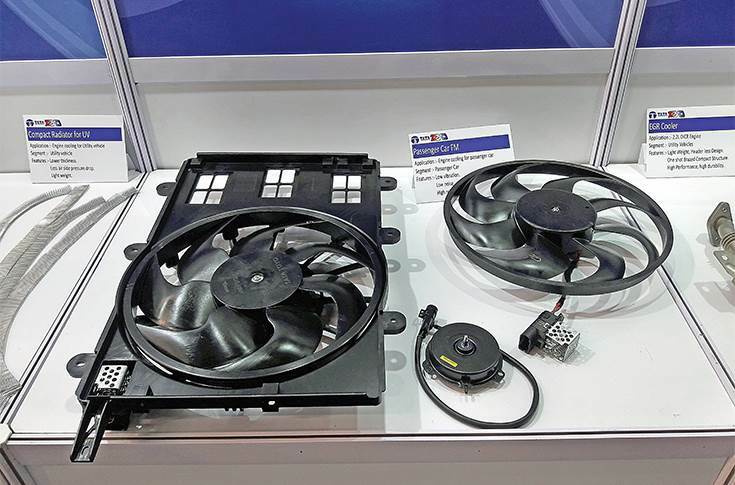 Innovative engine cooling solutions, developed by Tata Toyo, were also on display. Tata Toyo has successfully launched compact and lightweight header-less EGR coolers to meet next-generation emission standards for passenger and light commercial vehicles. According to the company, the all-stainless steel EGR cooler provides excellent high temperature corrosion resistance as well as high thermal performance. It also displayed smart radiators, charge air coolers, CAC tanks and other parts. According to product engineers, the lightweight and compact radiator construction helps in weight reduction on the vehicle offering less airside pressure drop, in turn improving fuel efficiency and reducing the usage of raw material per vehicle. The new charge air coolers (CAC), on the other hand, with higher strength tubes bridge the stringent pressure drop and heat rejection requirements, which is suitable for the incoming BS VI emission norms. 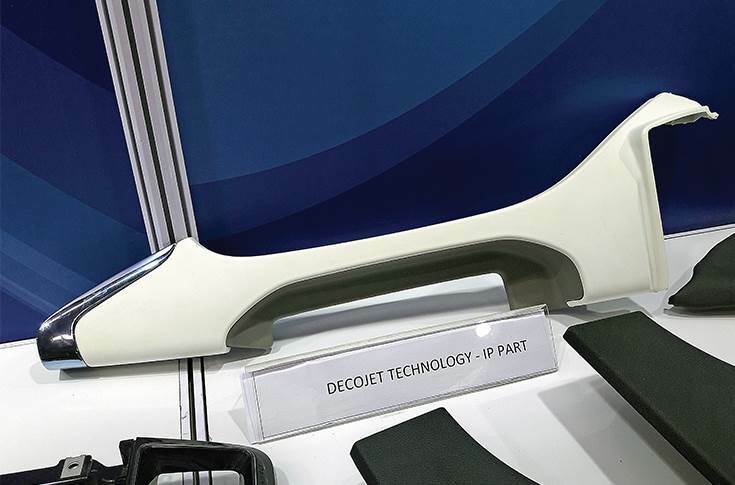 Decojet, a technology for improving haptics, used on decorative parts like dashboard and door child parts. “The CAC tanks, for commercial vehicle applications, are successfully replaced by plastics resulting in excellent weight reduction,” a company engineer revealed. Another interesting concept on display was a logo projection lamp with backlight in the side mirror assembly. This, according to the product engineers, can serve two purposes – offer passenger safety in dark or poorly lit areas while stepping in and out of a vehicle and also offer space for brand promotion (with logo representation on the floor) around both the front doors. Under the command and control systems’ category, there were two innovative components with essentially the same application, but for different vehicle categories, on display worth taking note of – aircraft-type parking brake lever for a passenger car and a retractable parking brake lever for light commercial vehicles (such as the Tata Ace). The former is a unique concept of a parking brake lever where the space between twin parking brake arms can be used for cup-holder and coin-holder applications. The complete parking brake mechanism remains hidden below an armrest provided to improve driving comfort. Fan parts, used for engine cooling in passenger cars, offer low levels of noise and vibration. In the other case, the retractable parking brake lever for vehicles such as the Tata Ace offers additional seating space unlike the conventional levers, which when deployed (pulled up) block the area between the driver’s and the co-driver’s seats. 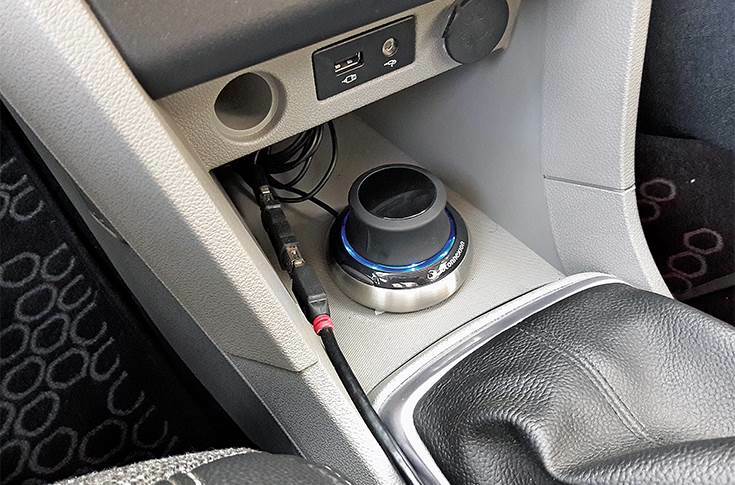 Notably, deploying this parking brake (when the vehicle is stationary) does not abruptly disturb or block the flat space between the driver and the co-driver’s seats, thus providing the same plain for stretching/resting purposes. The parking brake can be deployed and released by pulling and replacing the lever at its place. All these and many more product innovations made for an interesting day out. These products, with many expected to be launched in several upcoming vehicles, only suggest the pace of engineering development and innovative thinking that goes behind planning the most common and simple-looking vehicle parts.